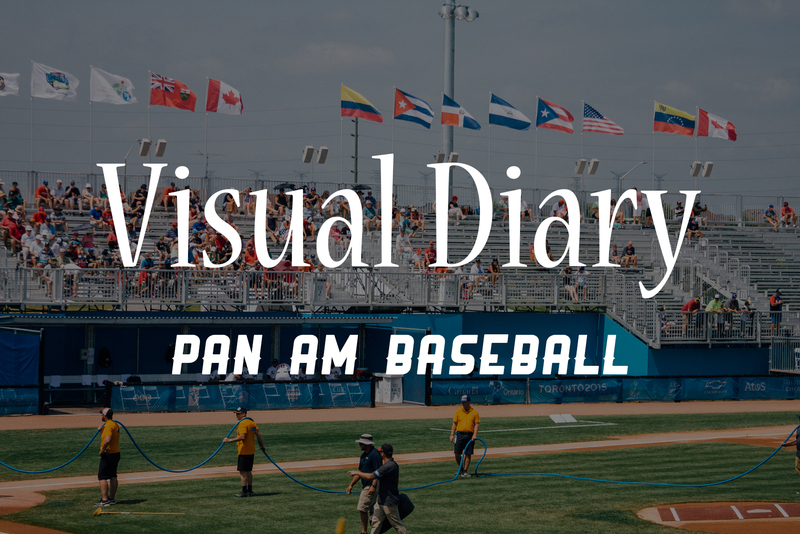 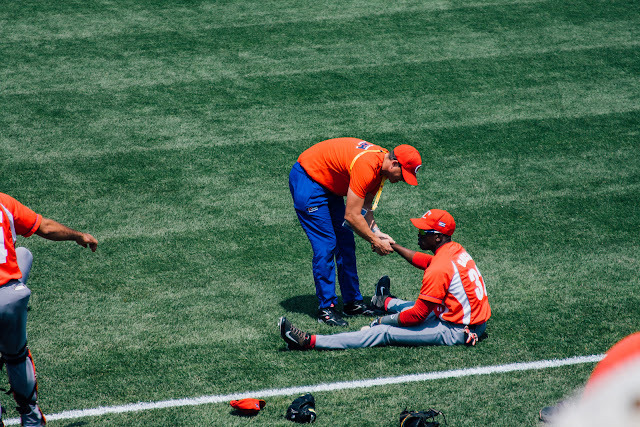 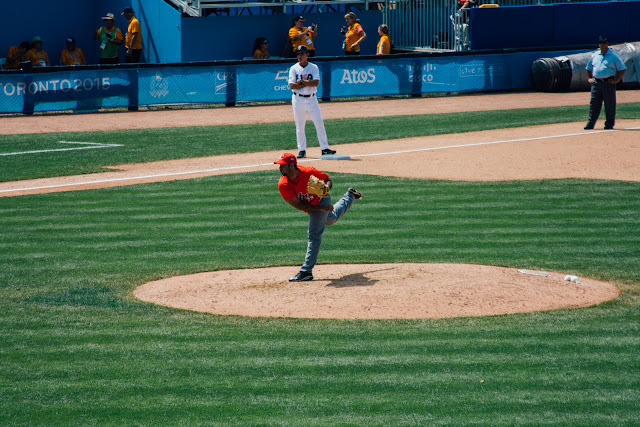 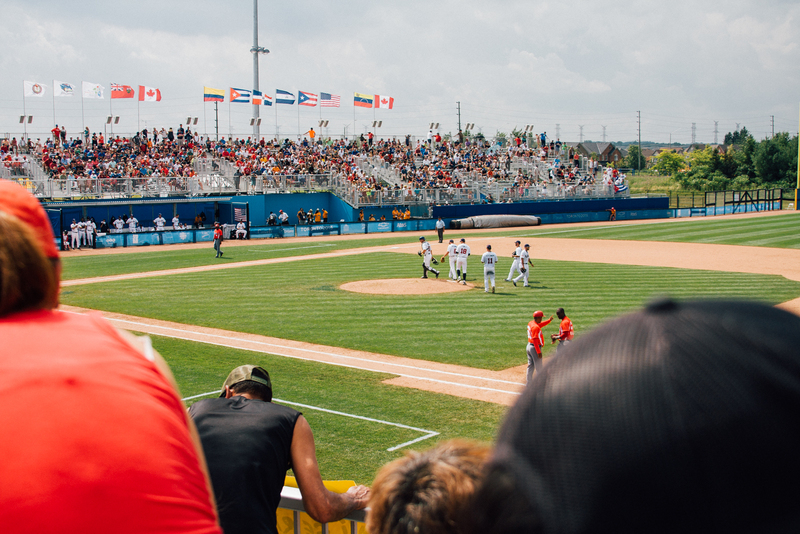 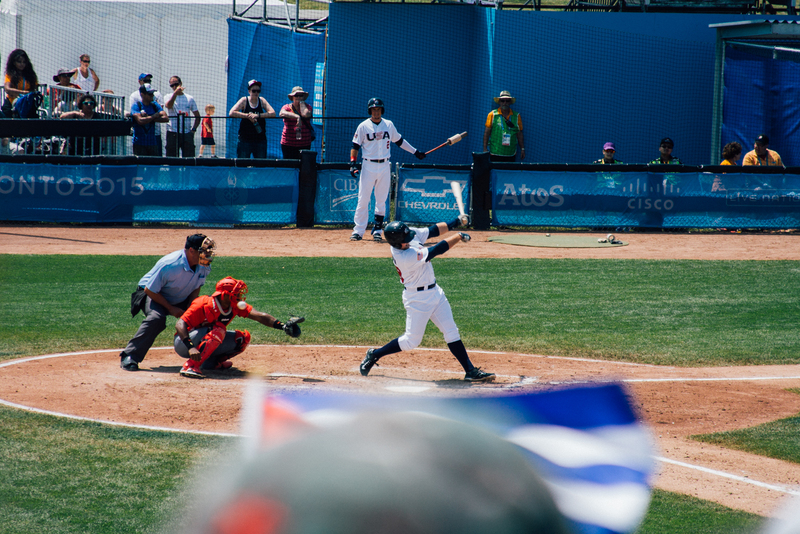 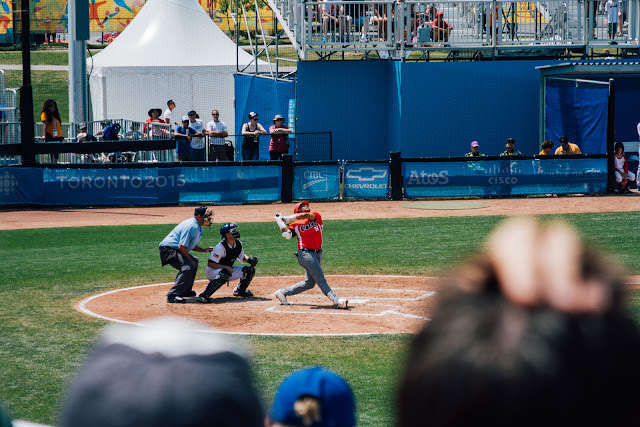 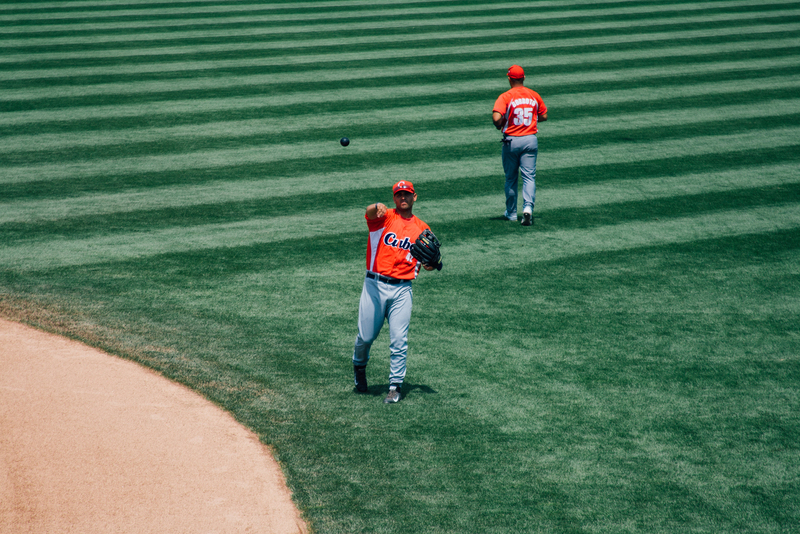 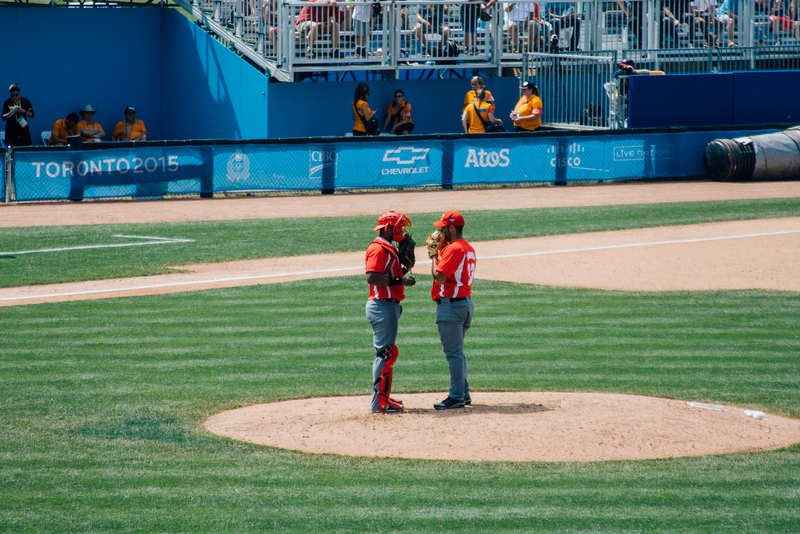 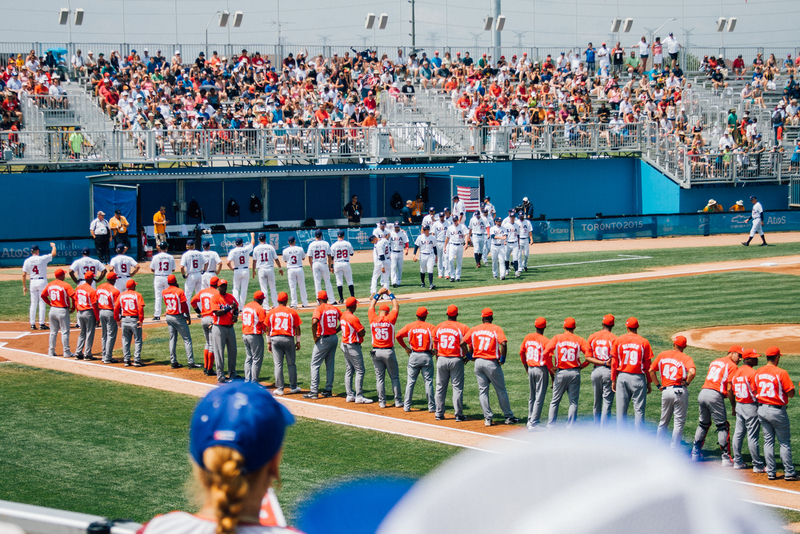 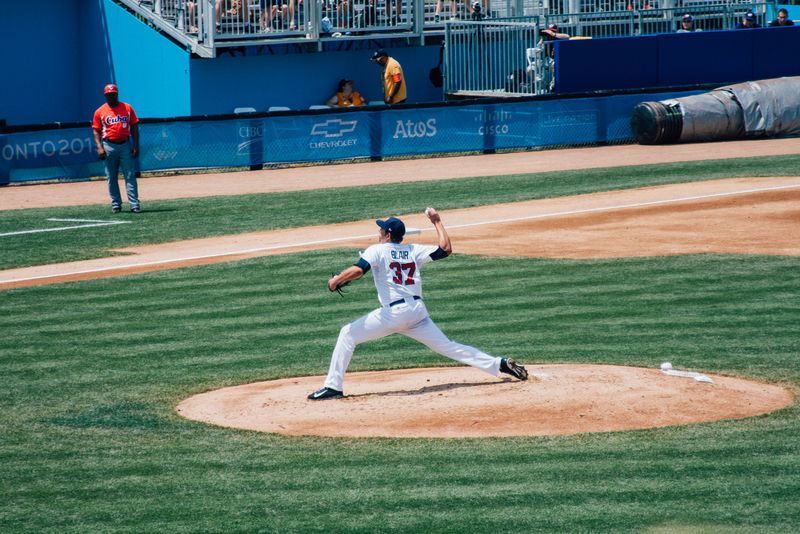 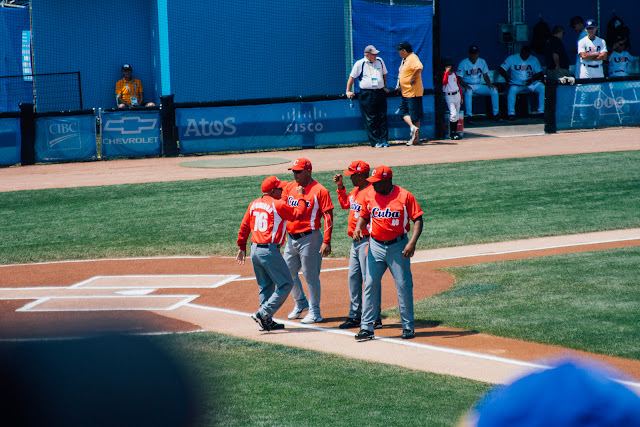 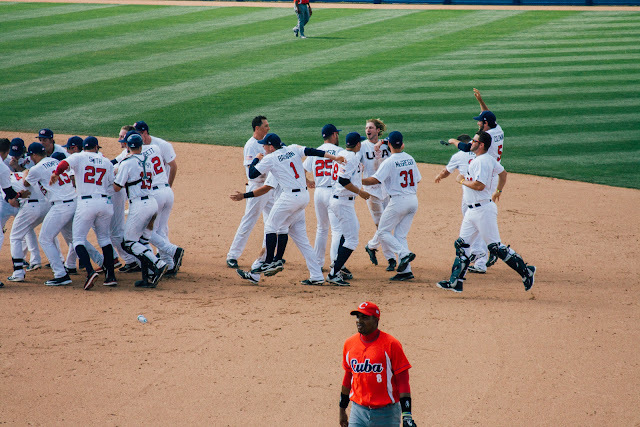 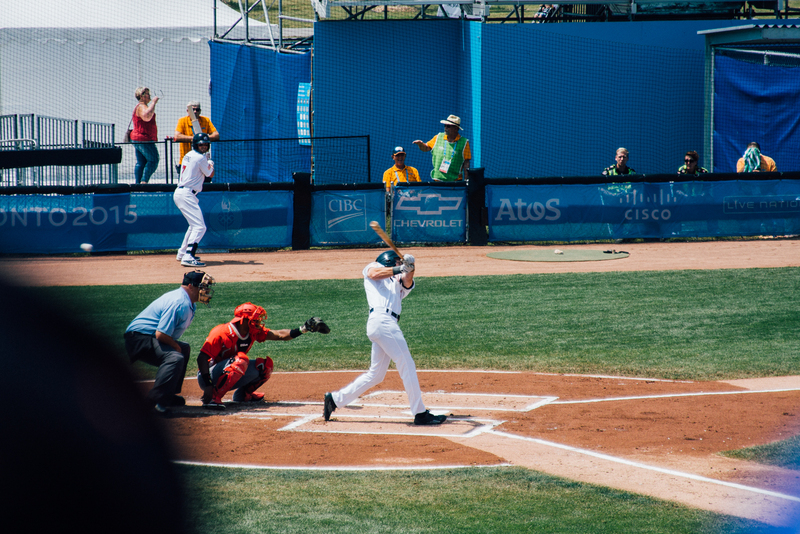 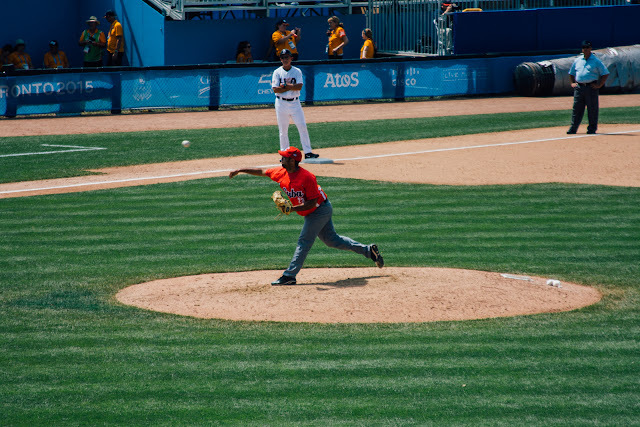 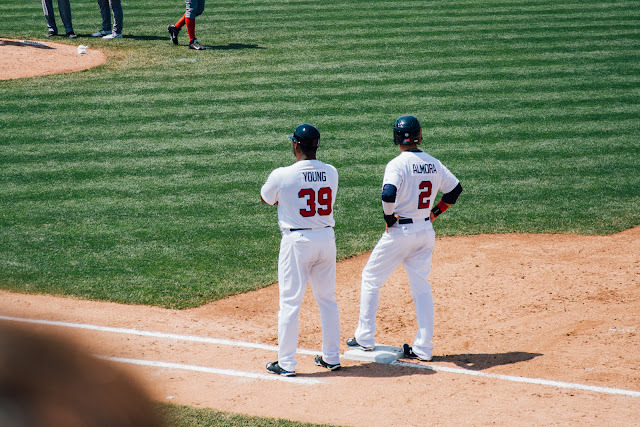 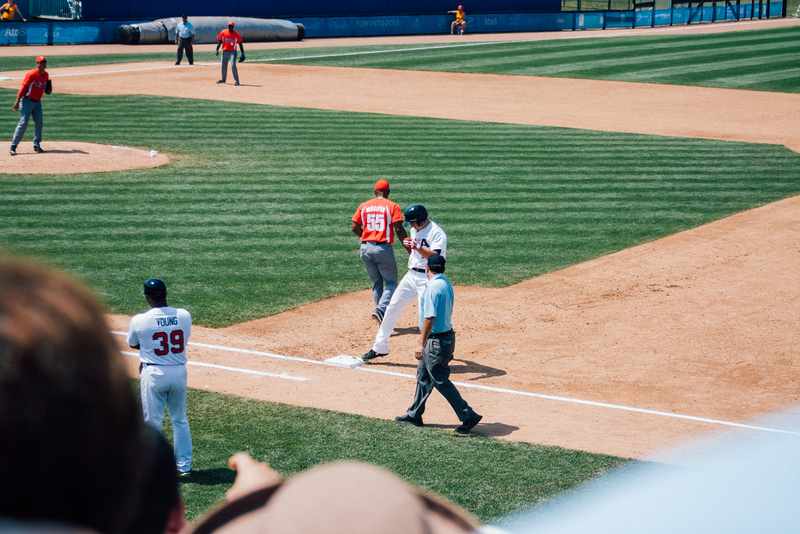 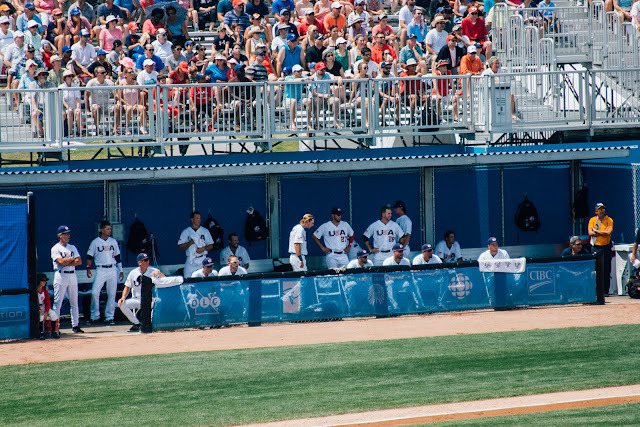 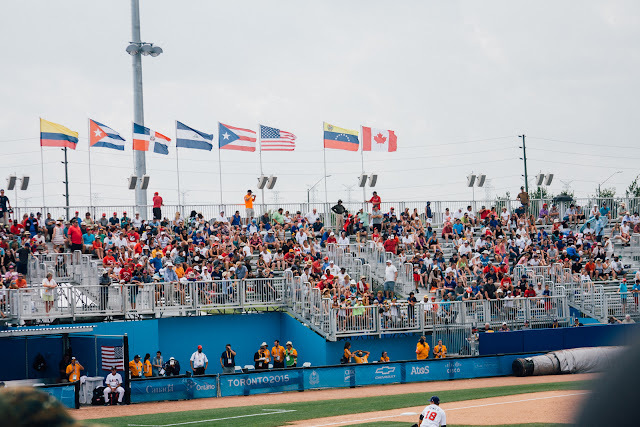 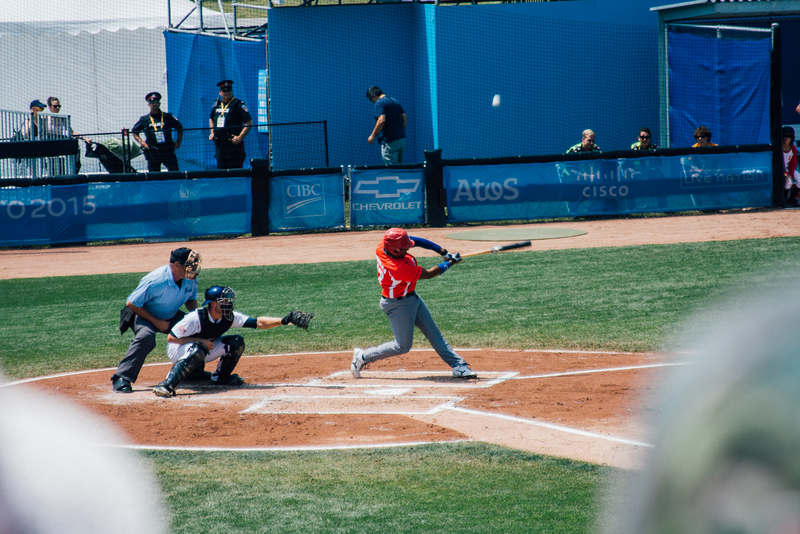 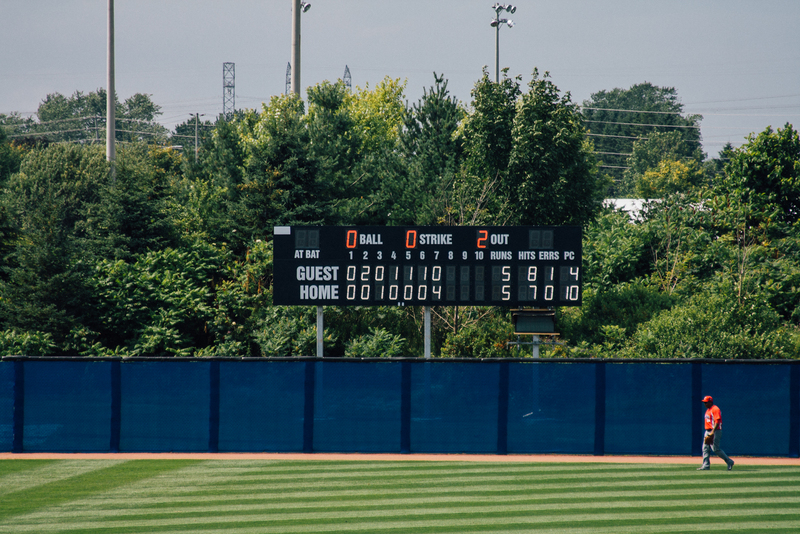 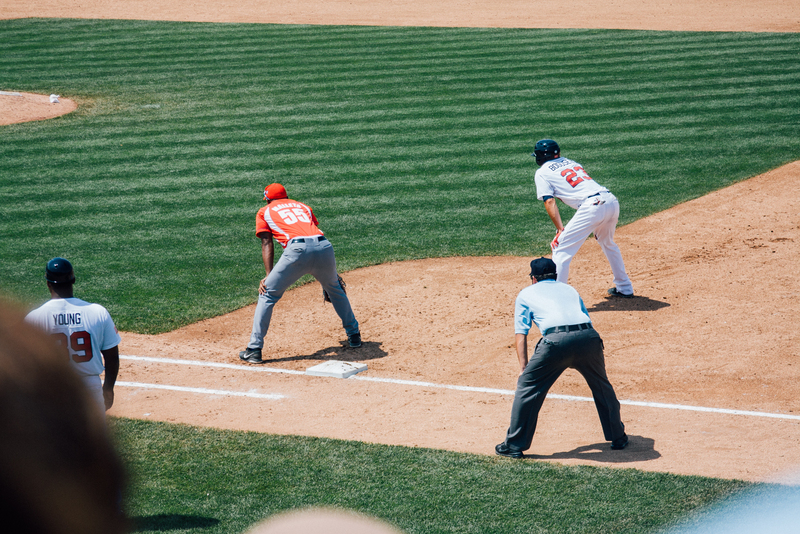 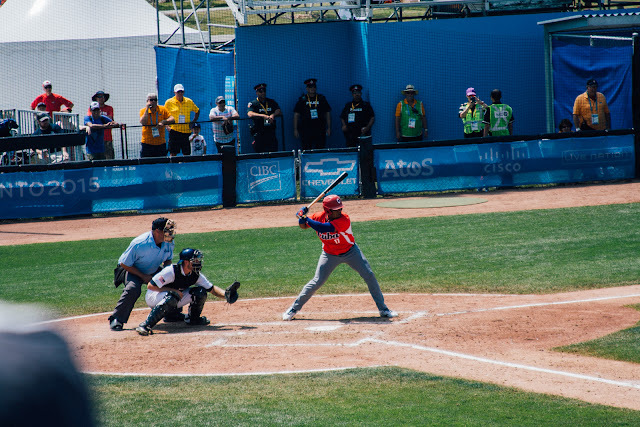 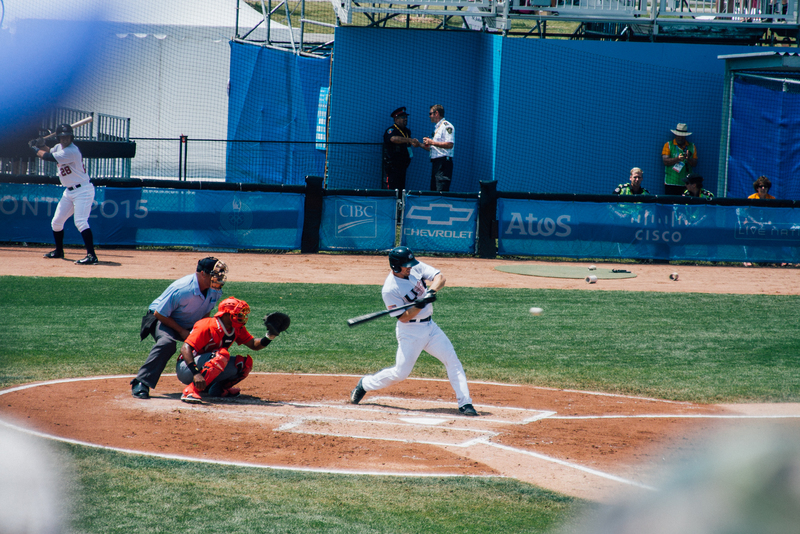 Christopher had taken me to the Pan-Am ball game to watch the USA play against Cuba. Spoilers: USA wins. 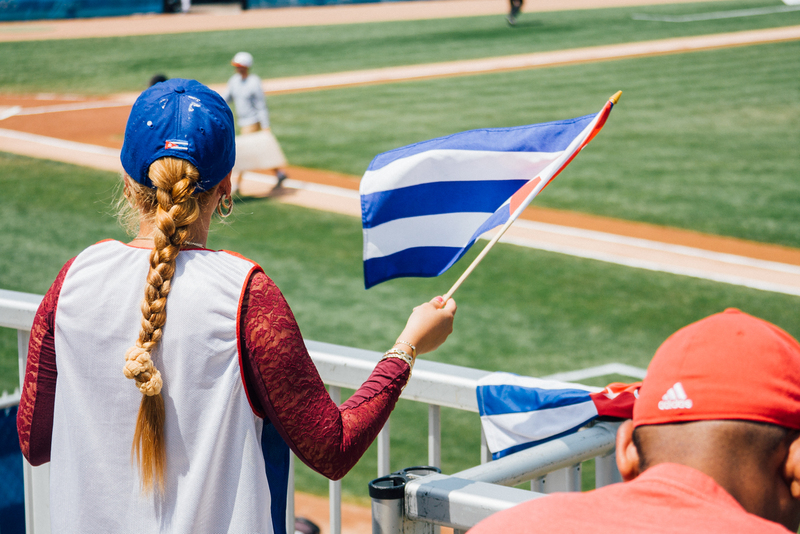 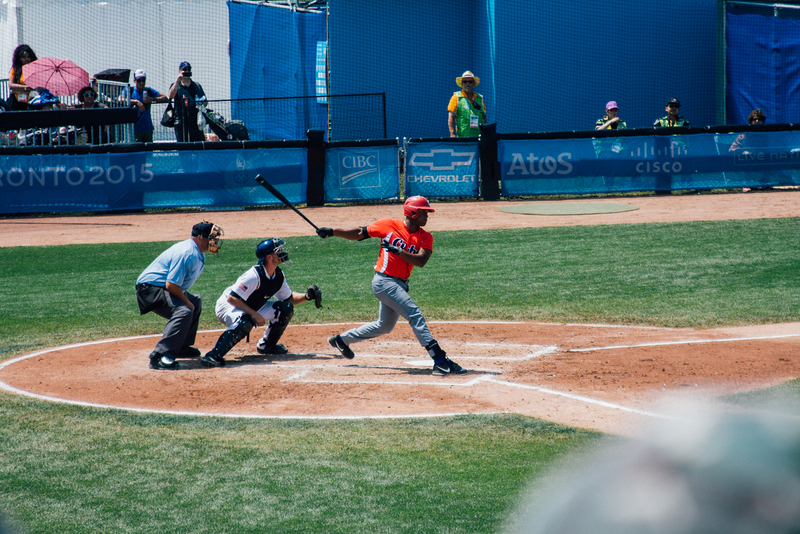 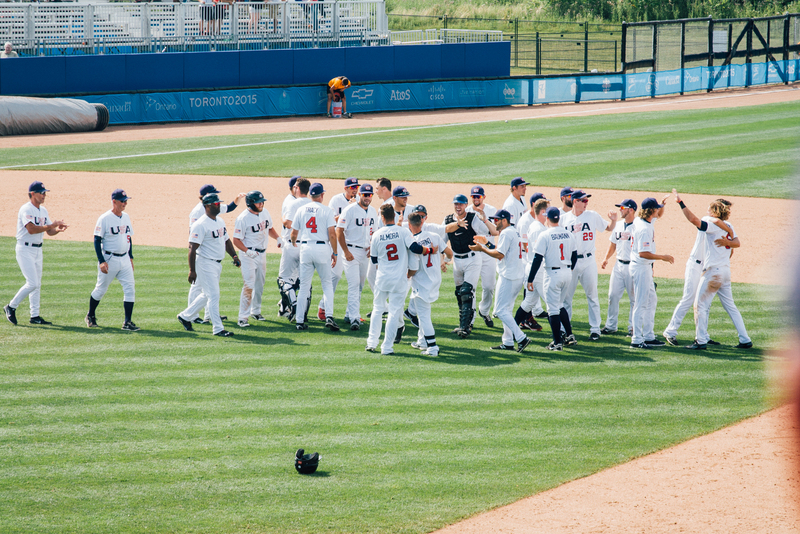 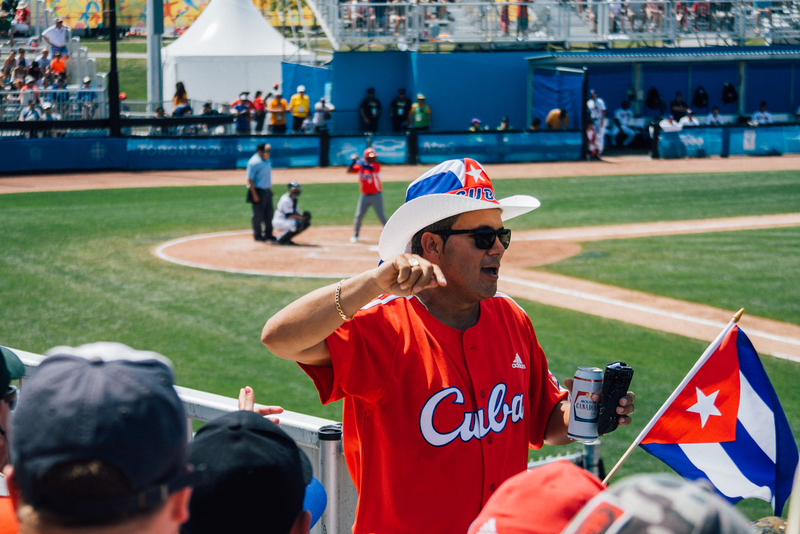 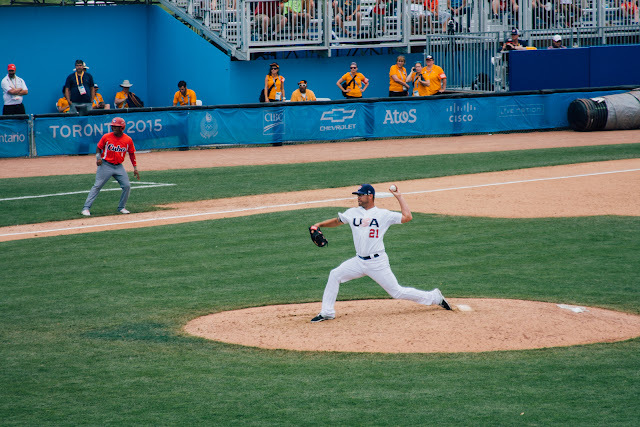 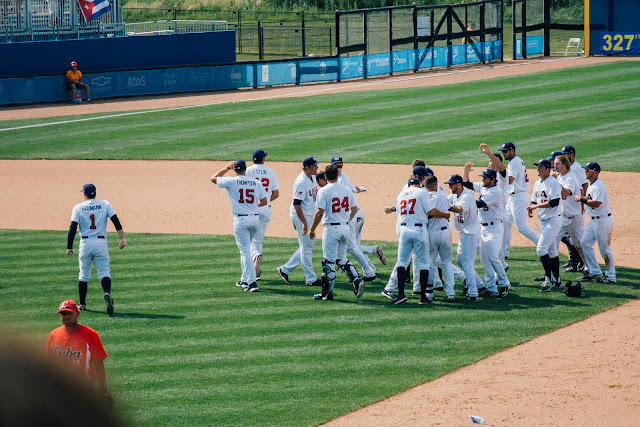 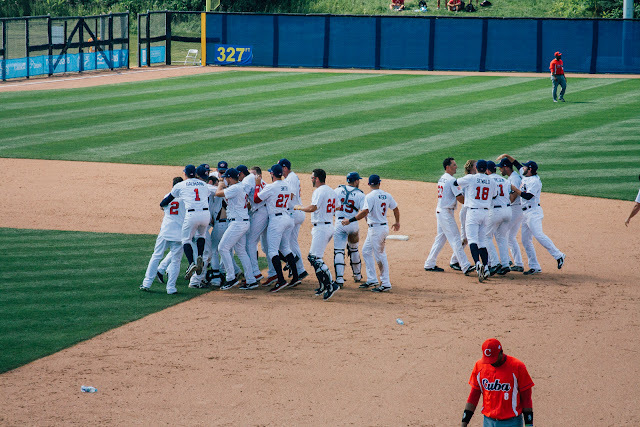 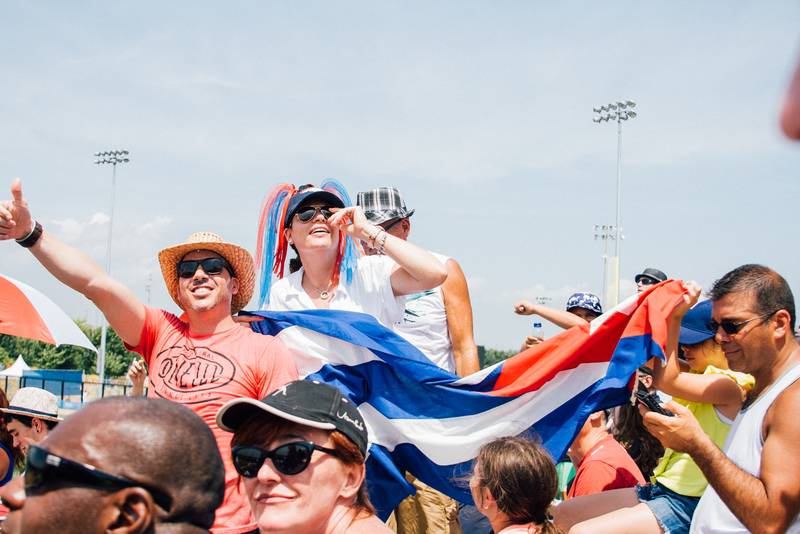 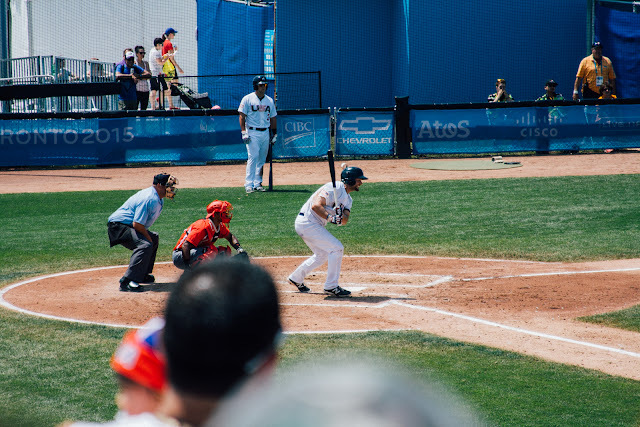 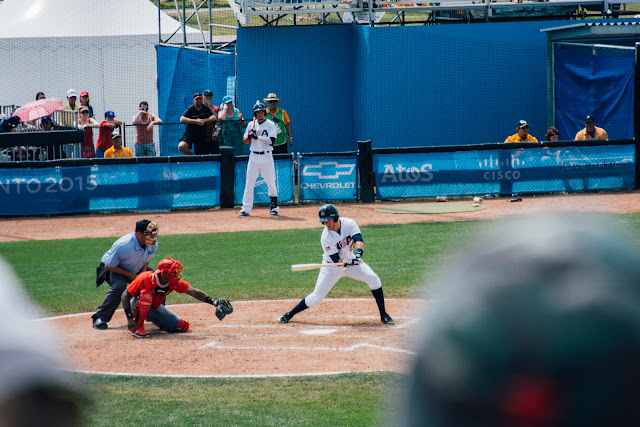 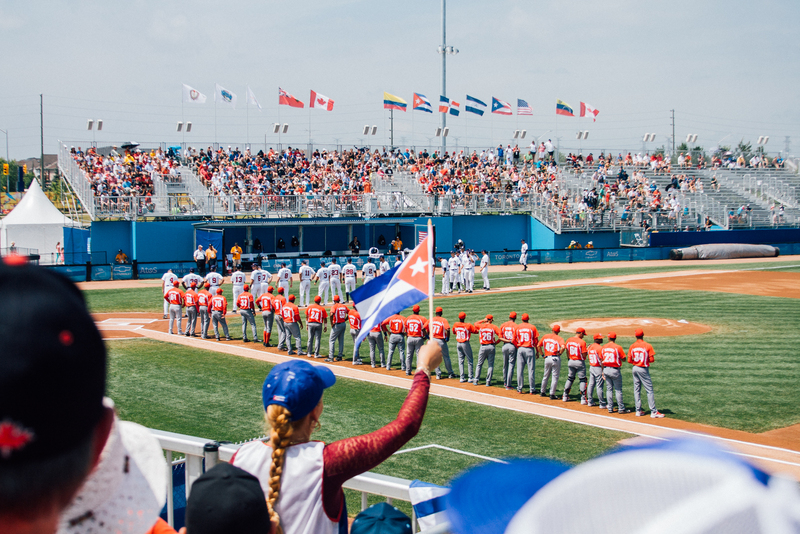 It was really exciting, with Cuba leading the first half, USA tied the game by the fifth inning, and then USA finally taking that final point in the last inning. 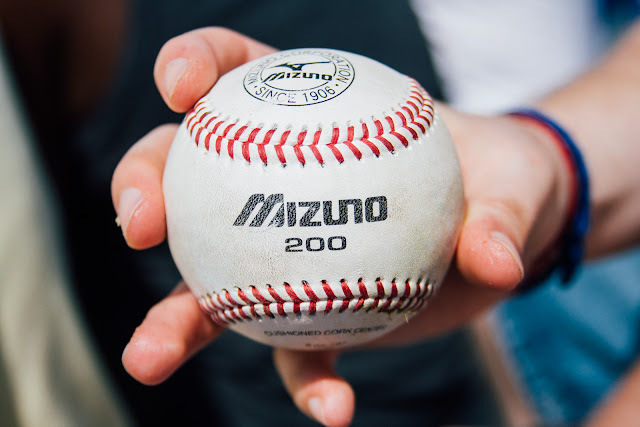 We even got a baseball flying right at my face. 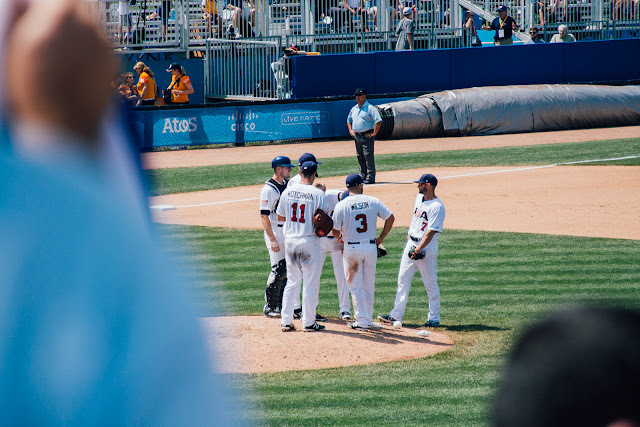 Luckily, the guy in front of me caught it, because I wasn't really paying attention and could've gotten a face full of PanAm. 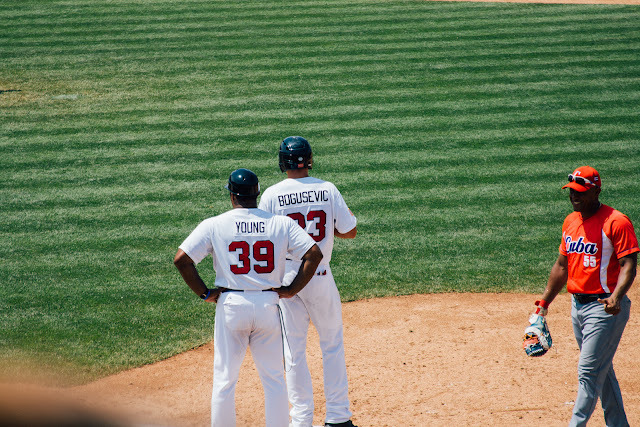 I only heard Christopher going, "Nich, look out." and as I looked up, I saw the ball hurtling towards me. 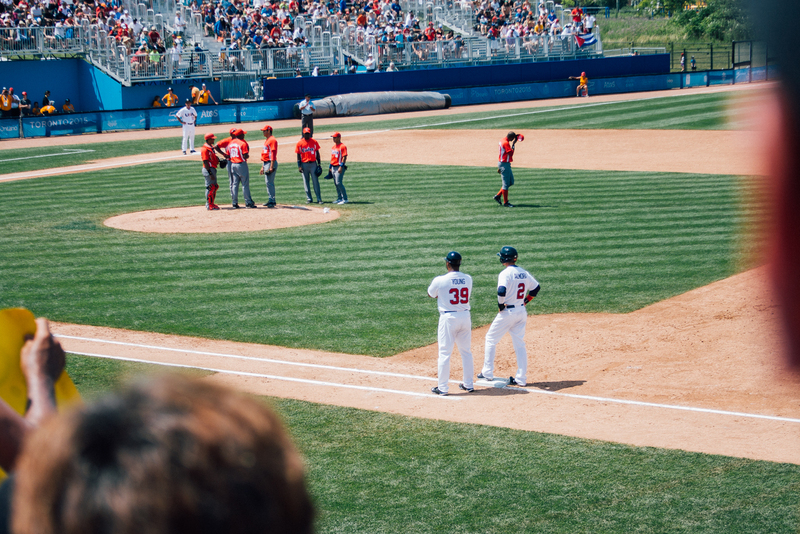 It was a pretty exciting game, and so worth the intense sunburn I am now having to deal with. 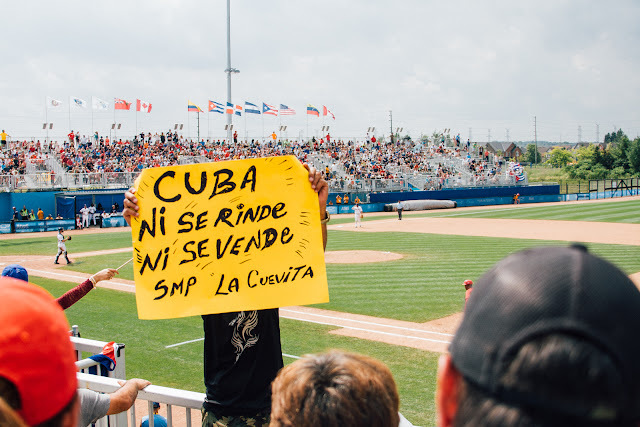 And man, Cubans do take baseball seriously.